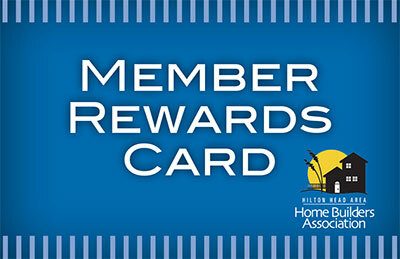 The Member Rewards Card is a local discount card provided annually to active members of the Hilton Head Area Home Builders Association. Use your card and start saving on everyday purchases like lunch, accommodations, auto maintenance and much, much more! Discounts offered change throughout the year, so be sure to check back regularly! If your business is interested in offering a Member Rewards Card special or discount, click below and complete the HBA Rewards Program Application today! Present your Member Rewards Card at the following participating businesses and enjoy these member-only benefits! $45 for weekend rental of portable toilet or waived plantation fee with 3 or more portable toilet rentals in one plantation ($25 savings).